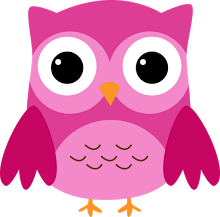 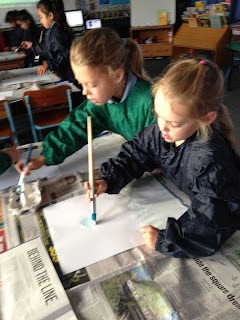 Today we did some very fun art. 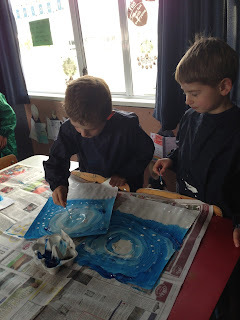 We made a snow storm scene. 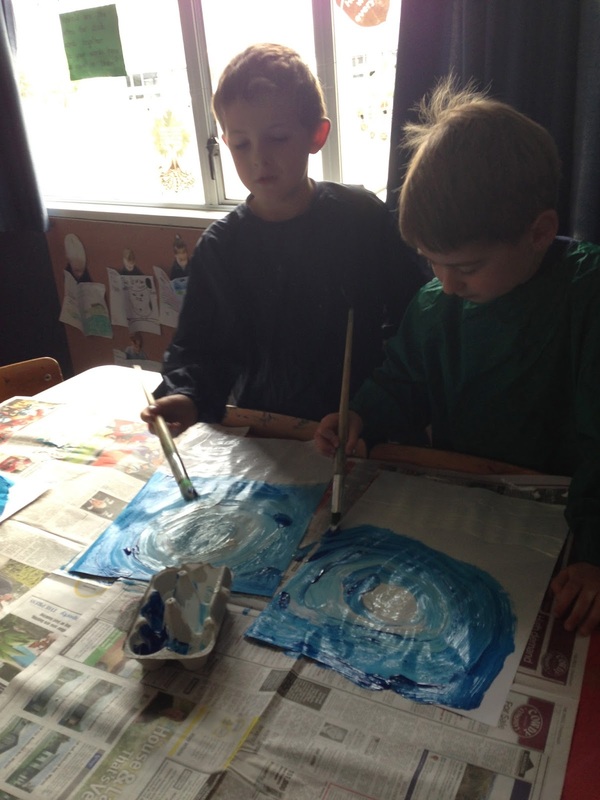 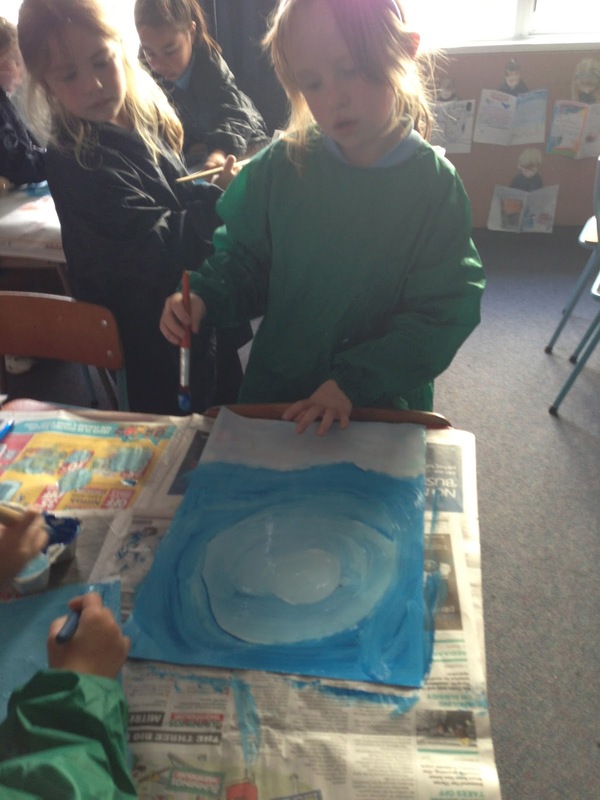 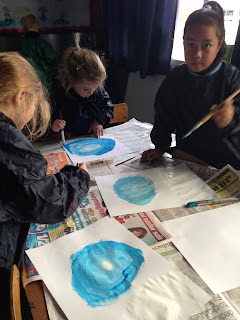 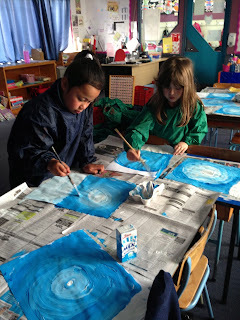 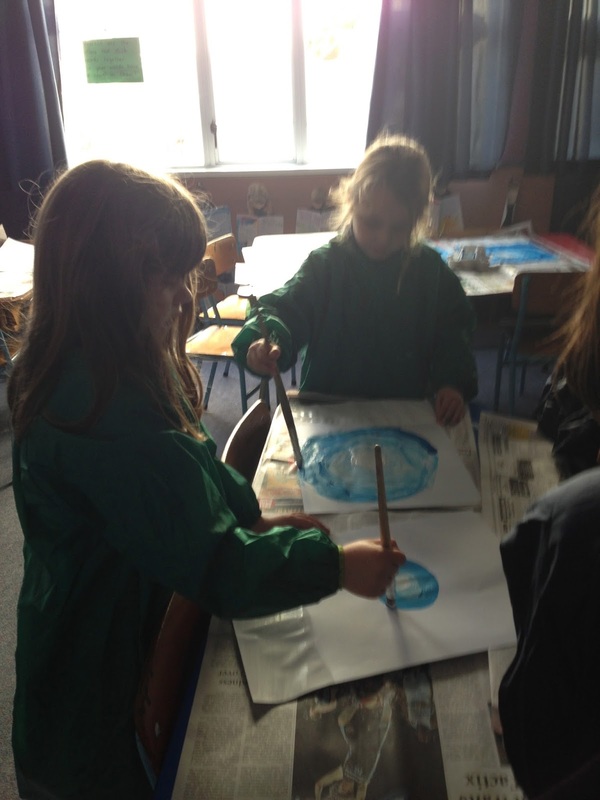 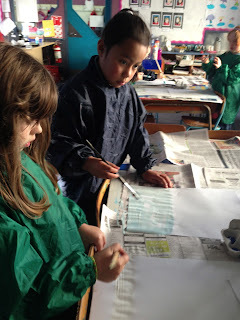 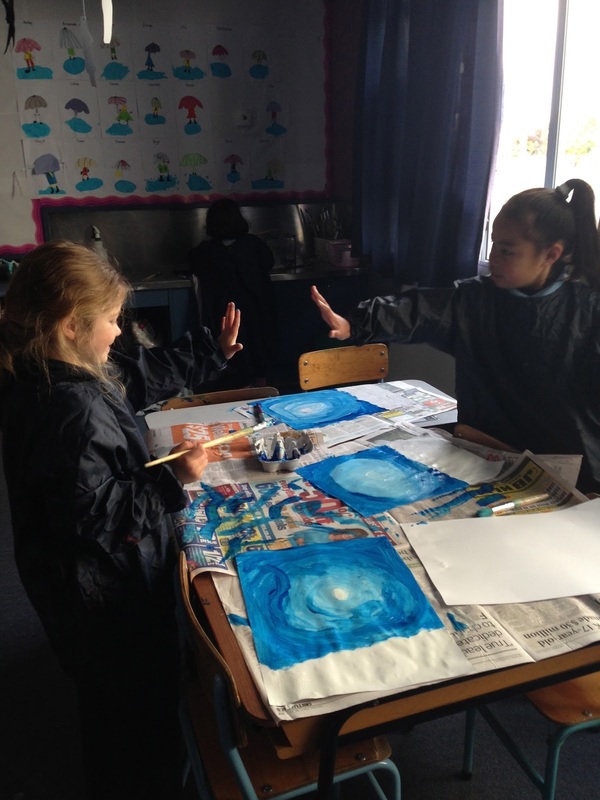 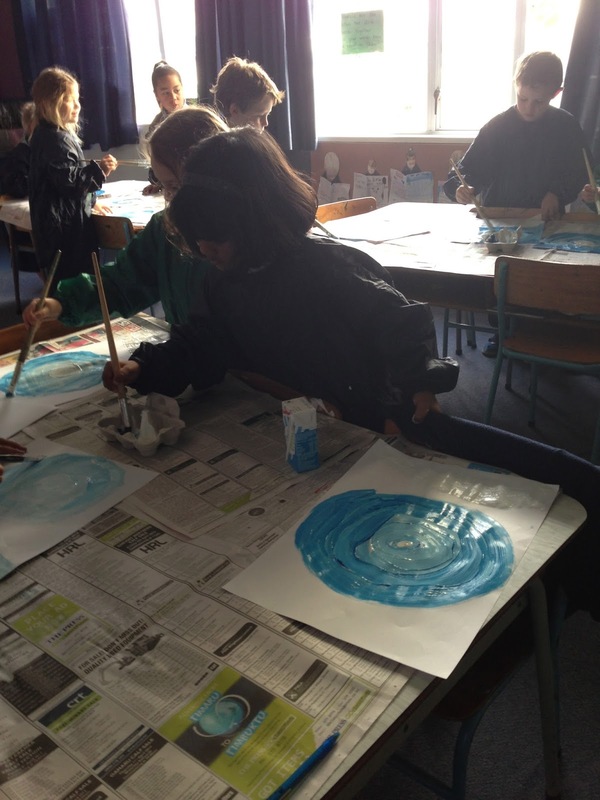 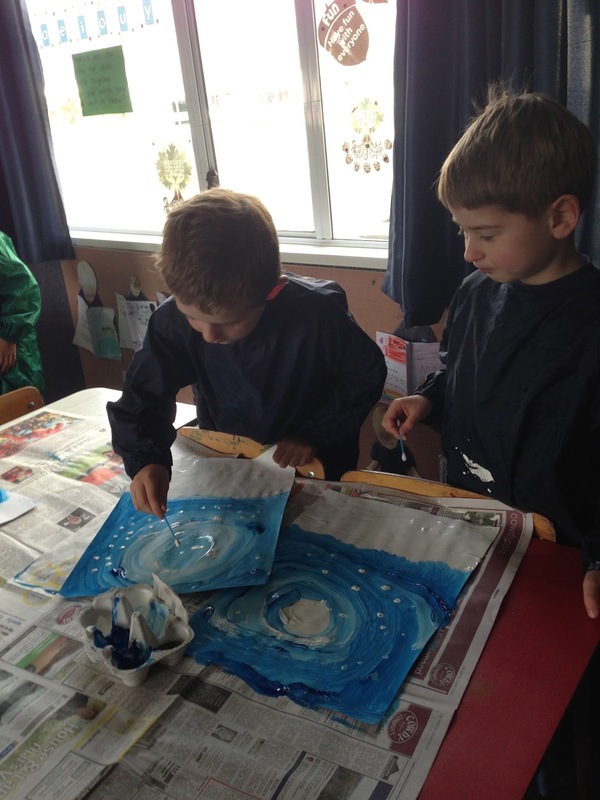 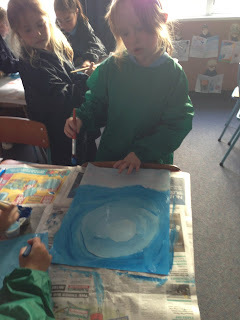 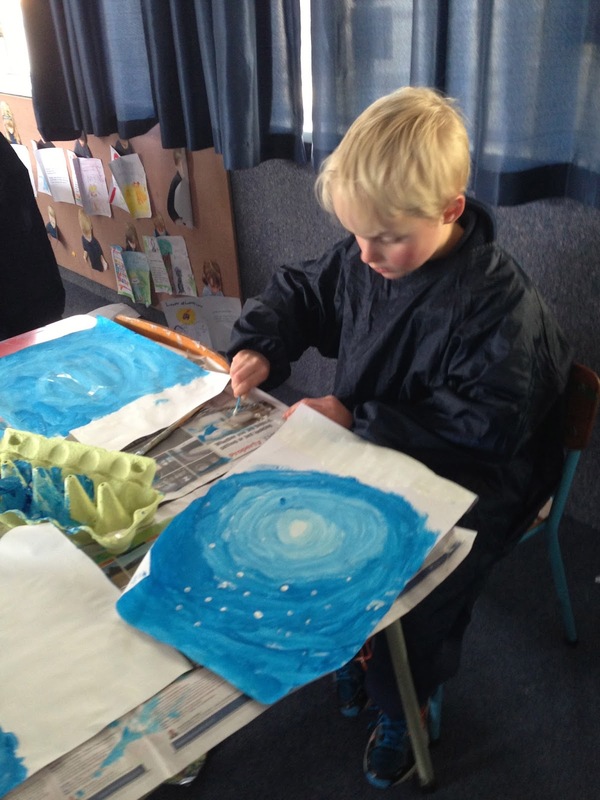 First we painted our background using blue and white paint in circles. 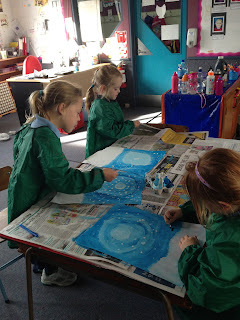 We left our work to dry over lunch time then we added some snow flakes and some foot prints walking through the snow. We think they look amazing.